"It seems like you did a lot more bouldering in the past two years than before. Why did you begin to emphasize bouldering and train more specifically for it? I did it because I love variety in climbing. One obvious reason why to love bouldering is because of its purity. I reckoned that it might have helped in sport climbing too, but it wasn't the main reason. Last autumn I was only bouldering and the main reason was that I had never really focused on that for longer period of time. I wanted to find out how hard I could boulder when completely focused on it." "What does bouldering do for your climbing overall? I am stronger and that is why I can do moves on the routes easier. 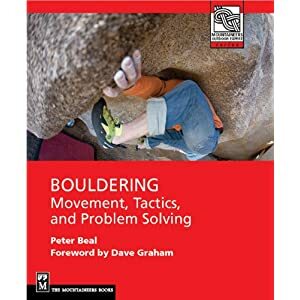 I realized that it is important to try different beta, because bouldering taught me that even the most impossible-looking beta might be the easiest solution to the problem."